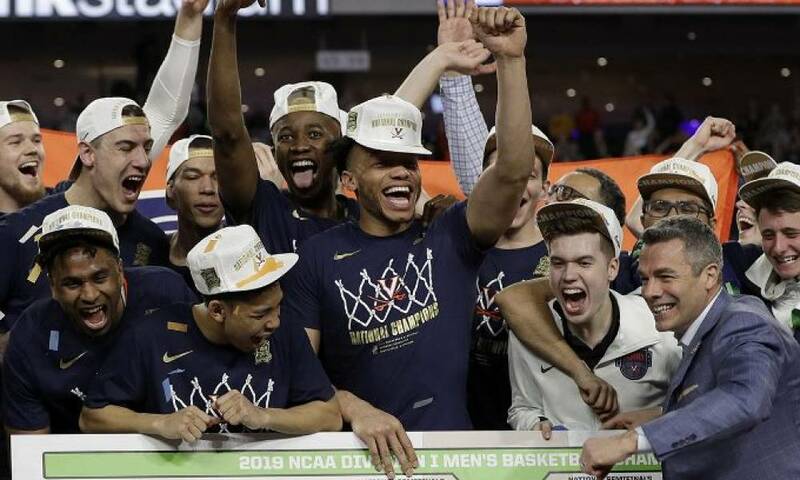 Odds makers wasted little time in naming the Virginia Cavaliers as the favorite to win the 2020 NCAA men’s basketball national championship after the Cavaliers defeated Texas Tech Monday night 85-77 in overtime to win this year’s national championship. The Cavaliers were made 5 to 1 favorites while Texas Tech was not considered much of a contender for next season and opened at 30 to 1. 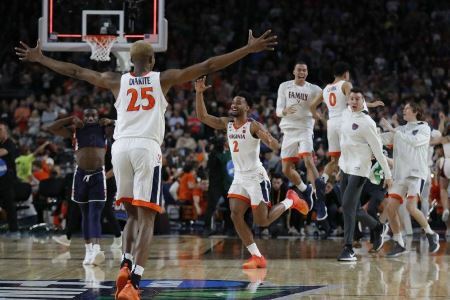 Following Virginia for most sportsbooks were Kentucky and Duke at 8 to 1, Gonzaga at 10 to1 and Michigan State 12 to1 to round to round out the top 5 odds. On Monday Tre Jones announced he would return to Duke next season, but the majority of basketball pundits and fans alike expect the Blue Devils to lose Zion Williamson, RJ Barrett and Cam Reddish. Virginia will lose Jack Salt to graduation therefore the Cavaliers will once again be laden with talent in 2020 if there are no departures for the NBA. Changes to the opening odds will be made once all underclassmen announce if they are opting for the NBA or remaining at their respective schools. The odds will also be adjusted once all the unsigned high-profile recruits announce where they are going to attend school next year. Villanova and Louisville are both 15 to 1, while Auburn, another one of the Final Four teams this season is 20 to 1. Eleven teams including BYU, Clemson and Miami have been given 1,000 to 1 odds of winning the national title. Last year, Duke was the title favorite when odds opened in April at 5 to 1. The title game for 2020 will be played in Atlanta at the Mercedes-Benz Stadium on April 6.